On behalf of admin of JML Law, A Professional Law Corporation posted in Police Misconduct on Saturday, Jan 13 2018. In a rare prosecution of a police officer in a police misconduct case, a Riverside cop was charged with murder of a romantic rival. An ex-Riverside County sheriff’s deputy, Oscar Rodriguez, was charged with murder for an on-duty shooting of Luis Morin, who is said to be Rodriguez’s romantic rival. The former police officer was allegedly having an affair with Morin’s girlfriend. Rodriguez is being prosecuted after he nearly got away with police misconduct, as the former police officer initially cited self-defense and lied about the circumstances of his encounter with the victim in January 2014. The cop was initially cleared of wrongdoing in the shooting four years ago. Fearing that Rodriguez would get away with using his badge to murder Morin, the victim’s family members hired a Riverside police misconduct attorney to launch an investigation into the case. Rodriguez was charged with murder after the investigation concluded that the cop had a motive to murder Morin. Fact: Southern California police officers have shot and killed more than 2,000 people over the past 10 years. Fact #2: but Rodriguez is the first of these cops to be prosecuted for a shooting since 2006. Police misconduct statistics in Riverside have been disturbing for years, as an increasing number of police officers in Riverside and all across California go unpunished for wrongful convictions, police brutality, false arrests, illegal seizures and searchers, police shooting and other forms of police misconduct. Rodriguez’s girlfriend, Diana Perez, was charged with accessory to murder. Both Rodriguez and Perez pleaded not guilty to all charges. In his report explaining the 2014 shooting, the police officer stated that he was at the house to arrest Morin on a warrant when the victim tried to grab his gun, and the cop had to open his firearm in self-defense. Initially, the cop was cleared of wrongdoing in the shooting, as the Riverside County District Attorney’s Office justified Rodriguez’s shooting and closed the case. Prosecution of the former cop was made possible thanks to police misconduct attorney Brett Greenfield, who was hired by the victim’s family. During a deposition, the attorney asked the cop to testify if he wanted to murder Morin to get him “out of the way” so that he could continue his romantic relationship with Perez. “I’m exercising my Fifth Amendment right not to testify,” Rodriguez responded. The case concluded with Riverside County settling the lawsuit for $7 million, and prosecutors had to re-open the criminal investigation into the shooting, which brought murder charges. The former cop is currently out of custody after posting $1 million bail. The news of Rodriguez’s firing from the Riverside police prompted members of the victim’s family to say that the entire city is now safer. However, our Riverside police misconduct attorneys here at JML Law beg to disagree. While prosecution of Rodriguez is clearly a good thing, it would be delusional to assume that Riverside is now a safe place with the first police officer being punished for shooting in over a decade. Dozens or hundreds of cops get away with their wrongdoing across Southern California every year, and Riverside residents end up suffering in police misconduct incidents such as police shooting, police brutality, sexual assault, use of excessive force and other violations of civil rights. If you or your loved ones have been injured in an encounter with a police officer or your civil rights have been violated by cops or law enforcement officials, seek the immediate legal help of a Riverside police misconduct attorney. 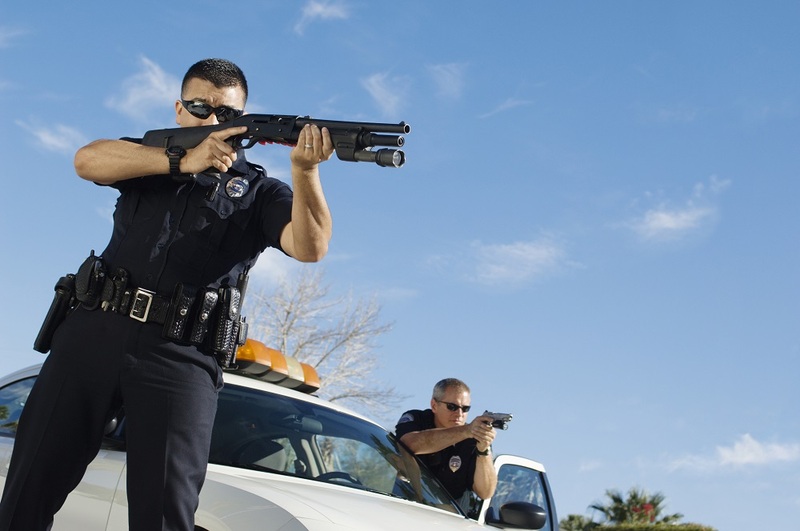 Let our experienced lawyers at JML Law walk you through the entire process of seeking justice against police officers without facing retaliation. Call our Riverside offices at 818-610-8800 or send an email to get a free initial consultation.